Stena Line, a large ferry company, opened innovation up to its employees – with remarkable success. Innovation can be a huge change that transforms a company and its sector forever. Or it can be a series of small changes that all contribute to making things more efficient, improving customer experience, productivity and so on. For big companies, introducing change and innovation can be a daunting task – but Stena Line, one of the largest ferry operators in the world, has found that drawing on the ideas of its many employees can be hugely successful. Alan Gordon, director of innovation at Stena, said, "Innovation has delivered for our business more profitability and more revenue." With 22 routes in Northern Europe, 42 vessels, five ports and 5,500 employees, Stena Line has plenty of room to gather new ideas, and put them into practice. We’ve given the company a whole range of support to develop its innovation system – a quick and easy way for employees to submit their ideas online, and get feedback from everyone in the company. 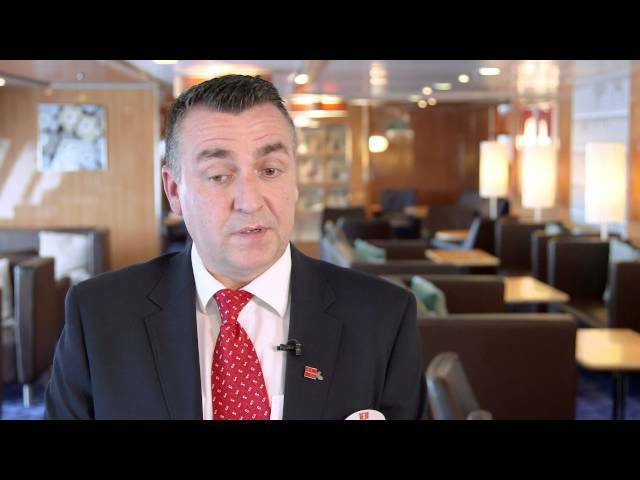 Alan Gordon, director of innovation at Stena, explains how innovation has delivered more profitability and revenue for their business. Alan said, "The innovation plan is based on a simple target: receive at least one idea from each of their employees every year. To achieve this, the company received an innovation grant from Scottish Enterprise to help implement their customer innovation system. With the help of the grant, Stena Line engaged consultants to help them roll out the system, train the first wave of innovation champions, and provide advice on managing change within the company. Alan continued, “Scottish Enterprise has given us financial support for specialised projects, like developing the new customer innovation system. The programme has already seen results. The company has installed wind turbines on some of the ferries – and cut energy usage by half a percent. A dockyard worker noticed how long it takes for lorry drivers to hitch and unhitch a trailer, and so developed a simple way to make it more efficient. One employee suggested they should do more to keep children entertained on the journey, and developed a Curious George footprint trail around the ship. Once Stena Line invited their employees to submit ideas, they came in their thousands. So far, 3,425 ideas have been submitted and 306 have been implemented, and the company has upped its budget for innovation to £5 million. It won’t stop there. The company has plans to open the innovation system to customers, to introduce another stream of ideas. As with lots of innovation, it doesn’t necessarily begin under that name – it’s often just a neat solution to a problem. And by making sure that every employee feels that they can contribute, Stena Line is on course for many more innovations to come. Although Stena Line is a multinational company but their innovation process can be applied to any tourism business, large and small.